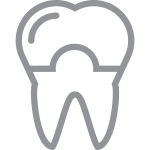 At McKeefry Dental we offer a wide range of leading cosmetic dental services. With our extensive list of treatment options and approaches, our services are tailored to meet your requirements. On the initial consultation we will discuss with you the various options and guide you to the most suitable approach, taking into consideration your lifestyle, budget, and key concerns. 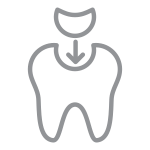 Read about our range of cosmetic dental services below. 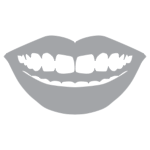 Providers of Invisalign® and KöR® Whitening. We provide leading cosmetic dental services including dental veneers, porcelain veneers and composite veneers. We offer leading dental reconstruction services. We use the latest technology to meet your requirements. My front teeth are chipped, what can be done? Ragged edges and small chips/fractures can often be repaired using a bonding technique. This involves using a tooth coloured filling material to recreate lost tooth structure. Once complete, the result is virtually undetectable. In larger cases, veneers may be necessary. My teeth are stained and yellow. Can they be safely whitened? Yes, this is an option. Dental whitening is widely used now and very successful. Most people can achieve a white, bright smile with just 1 dental appointment or in 2-3 weeks if using take home trays. There is no lasting damage done to the teeth and most people experience no problems at all. Occasionally some sensitivity may be felt, but this goes as soon as the whitening is complete. Please note that not every patient is eligible for teeth whitening and results might vary for each individual. Please talk to your dentist about your options. Can I get rid of my black/silver fillings? Yes, more and more people are now opting for white/tooth coloured fillings. You can either get the black fillings replaced as they need to be or get them changed all at once. 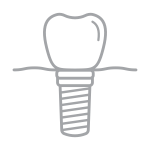 There are many ways to restore these teeth so that the fillings almost disappear into the tooth. My old fillings in the front have gone dark. What can be done? I have a front tooth that has gone dark. Can this be whitened? Yes, this is quite a common problem and is usually caused by a dead tooth which has darkened over time. Often this can very simply be improved using a whitening technique just on that tooth. The tooth does need to have had a root canal if it is dead however. Also if there is lots of filling in the tooth, a crown may be necessary. For some, a small simple procedure can often make a significant difference. our cosmetic dentistry services please Contact Us.